With foreclosures at an all time high, one unique, niche business that is getting National attention is the Foreclosure Cleaning Business. This business has been showcased on popular shows such as Oprah, 20/20, and hundreds of news stations across the US. If you are looking for a new business to start or an additional way to make money, then Foreclosure Cleaning Businesses is perfect for you!! You can literally start this business Full-time or Part-Time and there is No experience necessary! This year alone there is expected to be over 3 Million homes foreclosed on nationwide and more are coming down the line. Bringing with it the huge need for all of these properties to be cleaned up, repaired, maintained, and prepared for resale. 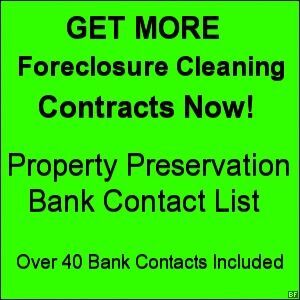 The banks rely on Property Preservation Vendors (Foreclosure Cleaning Businesses) to come in and clean out these foreclosed properties immediately after they have been foreclosed on. And they want this done very quickly in hopes of being able to relist these properties for future sale. The longer they stay off the market, literally the banks lose thousands of $$$! Starting a Foreclosure Cleaning Business is one of the easiest businesses to start and can be started very quickly! Here we will take you step by step how to start your own foreclosure cleaning business. 1. Develop a Good Business Plan-This is crucial for any successful business. There is a free website that provides software to create a business plan, visit Score.org, this will greatly plan your new business. 2. Establish what business formation you will be using (ie. Sole Proprietorship, Partnership, LLC, or Corporation) and choose your business name. Choosing your business name is very important in this business, you will want a name that closely says what services you are offering and something easy to remember. 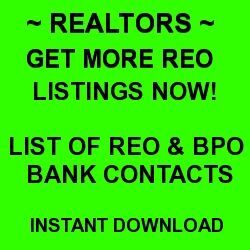 When you choose a name that is easy to remember, the Banks and REO Agents(Real Estate Owned) Real Estate Agents will definitely send you alot more work. Then file all needed forms to get your new foreclosure cleaning business started. 3. Apply for your Business License. You will usually go down to your local City or County Department and apply for this. It is usually less than $100. Once you have filed for your business license, go to your local bank and open up your new business account for your business. 4. Now you will need to get quotes for your general liability insurance, I would recommend getting at least three quotes to ensure you get the best deal.